Home » Posts Tagged "twitter feed plugins WordPress"
In today’s virtual reality, Twitter is deservedly ranked among the most popular and influential social networking platforms, therefore, Twitter integration into your WordPress produced website noticeably extend the scope of your website operation and will engage more people accordingly. The good thing is that the cooperation between Twitter and WordPress can actually run deep and prosperous. A wide variety of useful plugins has been minutely developed and launched to add Twitter feed into any WordPress website, causing minimum difficulty for the website owner. WordPress website and then integrate your Twitter feed into it, thus providing extra content. The first plugin in our consideration which represents a solid functional framework with plenty of dynamic and handy plugin features is My Twitter Feeds Widget Plus. Designed in very convenient and easy to use working style, this plugin will let you define and design the relative twitter related solutions for your website of any description and popularity. With the help of this Twitter Feed, you will be able to get custom background support for the fitting and pertinent customization and highly configurable scrollbar for stunning operation. Apart from the listed potentials, you will be able to restrict the tweets at your will. WD Twitter Widget will make it very easy and cozy to embed multiple tweets on any part of the WordPress website, as it comes with easy admin panel to keep the plugin behaviour under total control. 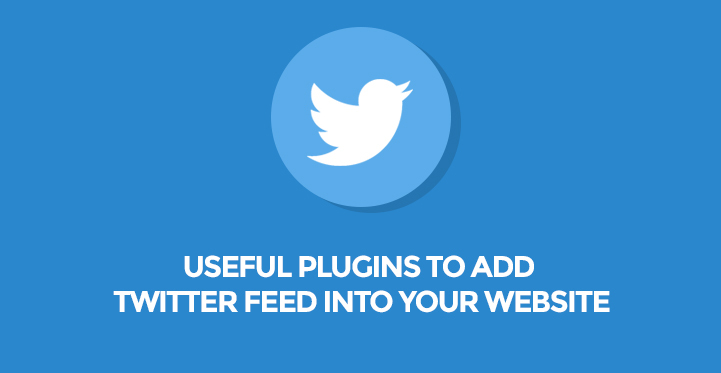 This awesome plugin leads to a variety of easily manageable ways to showcase Twitter tweets by means of the 3 different shortcodes, as well as widgets. Some of the basic features of WD Twitter Widget include Twitter API 1.1 programmatic access, LTR and RTL support, strong cache system inclusion, tweet actions and media, including photos, YouTube and Vine videos, easy API software component, Usage Tracker tool for tracking the usage status, 5 different styles to choose for the tweets, simple and intuitive setup and installation procedures and entirely responsive layout as a result. Another powerful and feature rich Twitter combination and integration system, ready to function perfectly with your website, authored by famous WordPress community is AccessPress twitter feed. This interactive and technologically well supported Twitter integration plugin will give you easy and fast tweets access completely for free, however, with certain available upgrades. Anyway, the free version is power packed with sufficient skilful customization options and controls, the option to get tweets from any account, selection of the quantity of tweets to be showcased, 3 visually attractive design styles available, easy integration of shortcodes, lots of configuration options to choose date and time format, full username showing or hiding variants among them, as well as very easy installation and strong support coming along the plugin. The next user friendly and extensively flexible twitter directed freemium online tool, which is packed with the most suitable tools and elements to have full control over the whole process of displaying tweets on the website in the most proper way is Powr Twitter. Add and showcase any Twitter activity on your WordPress layout by adding this entirely configurable and manageable product very quickly and enjoy a strong package of plugin features to customize fonts, colours, backgrounds, etc, display any Twitter post or tweet, resize or relocate them, set order of priority for diverse feeds and enjoy its full responsiveness and mobile friendliness all the time. Another plugin that works through displaying Twitter messages in your website is Easy Twitter Feed Widget. This stunning Twitter oriented layout, just like all the other plugins represented in this article, can be boasted about its total manageable and controllable basis, offering full customization over what is going to be showcased in your WordPress website. After acquisition and installation of this product, you will be granted with lots of possibilities to customize the link colour, border colour, select the most fitting background and many other available elements at your disposal. Easy Twitter Feed Widget Plugin is also very easy and user friendly in usage and does not require any API creation or Twitter application creation. AI Twitter Feeds works through connecting Twitter to any relevant WordPress based site and displaying the relevant Twitter outputs in your website through the application of widgets to place Twitter feeds into the website posts or pages through shortcodes inclusion. This professional plugin is loaded with a bunch of management tools and elements to set the number of the tweets to be displayed, customize twitter profile image, date, retweet and reply links, as well as the username by means of lightweight and intuitive admin dashboard. Moreover, follow button is included so that your visitors and clients can afford themselves to follow your Twitter account. The last dependable and technologically powerful Twitter feed display plugin which you can successfully test out and reveal a large amount of cutting edge features and elements is Twitter Widget Pro. This premium plugin will lend a helping hand to you during the whole process of dealing with Twitter feeds, tweets, usernames and hashtags. 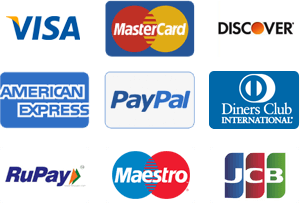 After its installation, a consumer key will be required to fill in to access the plugin settings and make use of them. This highly popular product with more than 60,000 active users will allow you to customize Twitter Widget Pro to meet all your demands, display profile images, enable or disable the display of the tweet time and date and many other valuable features available. This entry was posted in wordpress plugins and tagged Free twitter feed plugins WordPress, Twitter feed plugins, twitter feed plugins WordPress on February 14, 2019 by SKT Posts Themes.